Left right and centre, BTS has been all over social media (for me at least) for their comeback on Friday with Boy With Luv. This title track featured on their 6th mini-album, Map of The Soul: Persona, which was also released on the same day. So, it would be a major pity for me to delay the album review to next weekend, especially since BTS is getting so much attention. They have been confirmed to now be the fastest video to be viewed 10 million times on YouTube, whilst also be the first KPOP act to perform on Saturday Night Live. They have also broken even more records on other platforms since I published my review for Boy With Luv (link below). Phew, a lot of stuff to keep up on! But here is my review as a treat! Making their grand return today is BTS with Boy With Luv. And with their current worldwide popularity, Boy With Luv continues to break even more records than ever before. Topping charts as soon as the song is released, while also doubling the number of pre-orders for their latest mini-album (also dropped today) compared to their previous release, are just some already making news. So, it is super exciting to even be writing review for such a worldwide artist! We last saw BTS through their IDOL comeback in August last year. If you are a longtime fan of the group, you may be familiar with another BTS title track, Boy In Luv. While the titles are similar, the songs are very different. Actually, it is very different compared to any other their past tracks, which were all dance heavy. To me, Boy With Luv still goes towards that dance route but in a lighter and more mellow pop direction. It also seems to focus on more of the vocals, as I thought the rapping wasn’t as prevalent. While we are on the topic of vocals, I thought each member managed to match the lighter sound and I think we got a chance to hear them in a wholesome manner, which contrasts from their autotuned and louder volumes in dance tracks. Suga and J-Hope didn’t shine as much, as their parts didn’t stand out as much. RM, however, benefited from a kick in the beat of the instrumental, which I thought was a major difference between the rapper’s section. The main confusing point has to be Halsey’s featuring parts, which was only certain parts of the chorus. I think she could have been omitted and everything would remain the same, honestly. Overall, the question remains: do I like it? Boy With Luv is different and foreign to me. But it is still pleasant, which I think I can enjoy even more down the road. The music video seems very typical to me. It didn’t have that wow factor like most of their other videos. Though, there is most likely a hidden storyline in the midst of the video. Maybe it will have that wow factor then! I did like the more down-to-earth and more playful vibes the member got to portray. It did make the video feel a lot more casual and laidback. I think, to me, the most memorable parts had to Suga and RM’s rap parts. The change to darkness to let them be the main focus worked really well, and I wished some of the members got something similar. Well, they did but it didn’t seem as bold as RM or Suga’s. Also going with the light trend is the choreography. Nothing too complicated or extremely energetic in this performance, which I think is rather nice and probably beneficial for the members, who have been overworked with complicated and intense choreographies. This is all based on what I saw in the video, by the way! This is the first section, which will look at the categories surrounding the artists including Best New Groups, Best Female and Male Groups and many others. Each category will have a WINNER (the artist/group that received the highest amount of fan votes), Honourable Mention (the artist/group that received the second highest amount of fan votes) and KPOPREVIEWED Choice (who I voted for). And that completes the Artist Categories for the 2018 KPOPREVIEWED Awards. The Song Categories will be unveiled shortly and you can access it by clicking here! With BTS making their ‘IDOL’ comeback this past Friday, I think this is the fastest I have ever put out an album review for anyone. And while I had planned to do this as soon as I read the news of their said comeback, I never had expected so many high quality songs. Every new song on the album was a gem and I cannot wait to get straight into the review. A compilation album is, put simply, a collection of past songs from other albums. BTS did insert 7 new songs into this album, which is the focus of the album review today. Joining these new songs are the song the group previously released as part of Love Yourself: Her and Love Yourself: Tears. Due to the amount of songs on the album (25 songs), it would be really crazy for me to put all the songs on this particular page. So, if you are looking for a particular review for another song from the other two mini-albums, click on the links below. Beside that, let’s get this show on the road! After another highly successful comeback this past May 2018, BTS is back to conquer the stage again. BTS made their highly anticipated comeback today with IDOL and the third part of their Love Yourself trilogy. And with their latest comeback, it is expected that the group will extend their reach into the international market. They have already come so far with collaborations with Steve Aoki and Nicki Minaj, who featured on another version of their title track. IDOL isn’t what I had expected, given what DNA and Fake Love sounded like. This seems to be more hip-hop dominate and party anthem-like, which sounds pretty good. The song opens up with the rappers taking on the verse. And while they do sound great, it did feel like they were shouting a little too much. The vocals come right after for the pre-chorus buildup and I had similar thoughts in term of shouting, though it provided a great launch into the chorus. I really liked the burst of energy and upbeat nature of the chorus, which takes the track to a whole new level. It was quite catchy to my ears. I also like the instrumental of the song, which really built up as it went along. If you listen carefully during the verses, they seemed to be a dramatic underlayer, with the upbeat sounds on top. I found that very interesting. The saxophones definitely brightened up the track and provided a nice sense of appeal. I have to admit though, the song isn’t my favourite from the group, but it quite up there. Right off the bat, the video seemed to be quite noisy as there were more things going in the foreground of the video and the background of the video, than usual. And this video seems to be a little out there, compared to their previous music videos. And I have no idea what is going on in the video, as the scenes seem to be very odd. I have yet to watch any theories on the music video, but I assume they will be plentiful in a few hours. There were some aspects that felt very familiar. Some of the scenes reminded me of Fire and Not Today. For example, the choreography scene where there was a tonne of backup dancers reminded me of Fire. The colour palette and sets in this video reminded me of DNA‘s music video. Choreography wise, it looks good. We don’t see too much in the music video but there seems to be enough to conclude that this is going quite a performance. There seems to be amazing footwork during the chorus and the overall feel does a good job of hyping up the song. I may return next once I get a better look at the performance! Apologies for the delayed release of this album review. I just had some last minute things to focus on. Here is the long review for BTS’s latest album, Love Yourself: Tear. They had their comeback stage at the Billboard Music Awards this past Sunday and officially kicked off their promotions in South Korea last night. So with no further delays, here is my review! This is currently the most anticipated comeback of the year thus far. BTS has returned with their 3rd full-length album, Love Yourself: Tear and the title track, Fake Love. The group is due to make their comeback stage at the Billboard Music Awards this upcoming Sunday, where they are nominated for Top Social Artist for the second year in the running! Not only is this an achievement for both BTS and ARMY, but this is an achievement for KPOP as well! But I am here to review Fake Love, so let’s get on with it! Fake Love lives up to its hype. Majority of songs that tend to be hyped up end up falling flat and I think this is the first time that it hasn’t. What sets this apart from their previous title tracks is their vocals and rapping. You can hear the emotions pouring into the song. The singers sound amazing yet there is a sense of heartbreak in their voice. The rapping was powerful yet very fragile. Come together with the instrumental, it leaves you speechless (at least for me). The song mixes trap with grunge rock (according to Soompi) and while the combination does sound foreign, it fits into their long list of songs. The chorus was interesting, how it was split across the song. The second half of the chorus, ‘Fake Love’ repetition was heard earlier in the song, while the first half was heard after. I am not too sure if I am describing correctly but that is how I understood the structure. The chorus was addictive, with the ‘Fake Love’ repetition building up inside my head. It does irk me somewhat with the pronunciation of the word ‘Fake‘, which they make it sound like it is two syllables. But that is how Korean’s usually speak (i.e. emphasis on each syllable). All in all, the song is quite promising and definitely has what it takes to a world player. I just want to start off by saying that literature and art is not my strong point. But there is a lot of visual aspects that allude to both forms which I am not 100% on talking about. From what I can gather from the video itself and the teasers is that the video talks about fear. Each member has a fear (such as V with technology and Jimin with water). Jungkook seems to be the most interesting, with a fear of the darkness and possible the past (seen by his running away from the collapsing floor). Over the course of the video, we see each member come to terms with their fear. Though I am not sure where the video goes from there. I would love to read theories, so please comment with any that you find interesting. Overall, the video was extremely well done. From the aesthetic to that amazing post-production editing for Jungkook’s running, this video nails that artistic vibe in an interesting wall. I liked the sets and their outfits. The only I strongly dislike is their hair for this video. It doesn’t look too good from what I am seeing. The performance (from what can be seen) looked amazing. From the very start, all their moves looked so good. I really like how chaotic their move and formation got when it came to the ‘Fake Love‘ repetition which matched the overall vibe of the song at that moment. The start did look funny though. BTS has already broken records in just a matter of hours after their comeback, so it only makes sense to have a closer look into their album. And I am not disappointed with Love Yourself: Her. I can definitely see why fans are really into the music, despite it being a changeup. Scroll down for the entire album review. Please note that for certain reasons, I have decided to leave out their skits once again, mainly because they wouldn’t be classified as music. BTS has made their return to the stage with their latest mini-album release, titled as Love Yourself: Her. The lead title track from Love Yourself: Her is DNA. Ths is their first major release since winning the Billboard’s Top Social Artist award and Internation Artist at the Teen Choice Awards. Congratulations to BTS once again for their wins but for also representing KPOP at the big stage! Once again, BTS has put out a great song. It is their most upbeat song, in my opinion. You can tell from the song’s brighter start with the guitar and pop-based instrumental. The whistles at the very start capture your attention and give a little mysterious vibe to the song. Interestingly, the song takes a turn and becomes EDM based, with a pretty good drop only after the chorus. I personally thought the mix between the two was quite nice and refreshing even though it seems a little mainstream nowadays. Per usual, the vocals and raps were quite good but they don’t seem as captivating as their previous songs. I am in love with the bridge where V, Jin, Jungkook and Jimin slide in for their parts and that jaggered instrumental that followed for the final chorus was amazing. Overall, I liked the direction in which the song was going, up until that point. The “La La La‘ that followed was the most awkward part and didn’t fit in with the rest of the song. But minus the disappointing ending, the song was amazing overall. This is their most colourful video to date. The colours that they used in the background popped out to grab your attention, which was like the song. I also liked the member’s interactions with the camera, which I thought was pretty cool. Even Suga smiled for a second in the video. The camera work was definitely another wow factor, especially the tricks used to film the V to J-Hope transitions at the start. And while I have only watched the video a few times so far, I wonder how they told the story this time. A part of me like BTS releases because of their concepts and storylines. And the fan theories, which make the video different each time you view them. So if you know cool ones, pop a link in the comments below so I can read about them! [Updated] The performance for DNA is exactly as we all expected. All very cool moves and quite sophisticated in some parts. My favourite part was when they tangled their arms together and moved their arms as if an electric wave was passed through their arms. My vote for best album of 2016 went to Wings, BTS’s second studio album. Hence, today I decided to take some time to look back on their award-worthy album. However, as the album was re-released with new songs in 2017, I have decided to combine the two albums and make one long album review for it. The Wings album was dropped on October 10th of 2016. It was then re-released as You Never Walk Alone on 13th of February 2017. Please note that this is a very long review and that I apologise for that. 4. Lie (Jimin Solo) – That classical orchestra instrumental. It gives the track a very grand and epic feel. I love the twist and turns that this track provide. Everything felt so mysterious and dark through the verses, but the chorus caught me off guard because it went higher than what we have heard. Jimin’s vocals have always shined throughout BTS releases, but it managed to shine brighter here. Good enough that I give it a (10/10). 11. BTS Cypher Pt. 4 – I am quite sure this is meant to follow on from the rest of the Cypher tracks in which BTS releases on their albums. I don’t really listen to them, so I am not going to include this track in the final album rating score. But if you want to hear a hip-hop centred track from the 3 rappers of BTS, do check this one out. It is pretty good from first glance. Unlike the title of the song, it is a review that needs to be released today!!! For this repackaged album, BTS returned with two title tracks. The first, Spring Day was reviewed last week as its accompanying music video was released. 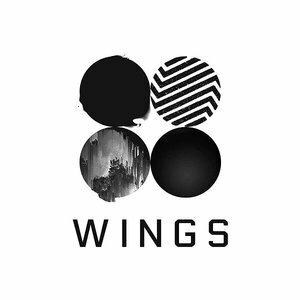 With today’s release of the music video for Not Today, I can now review their second title track for their repackaged Wings album. Not Today is a very intense track. Literally, it doesn’t hold back with its intensity. To me, it feels a lot like Fire’s sequel. It is as if they felt they didn’t do justice with Fire (which they obviously did) and decided to go with a track with that same intensity, but with a much cleaner and consistent sound. The instrumental is all EDM based and it standing alone packs a punch. Throw in their (per usual) rapping and vocal work and you can guess what type of track this would be. That being said, due to the intensity and instrumental, the vocals (including the rapping here) did feel a little inferior, as opposed to Spring Day, where the vocals/raps were at te forefront of the song. But regardless, I am totally digging it. I have been replaying it constantly this past weekend and getting hyped for the music video release. I love the transition between the rapping and vocals in this song. While EDM does have a reputation for not being smooth at times, the transitions give it a very smooth feel. And even though it feels smooth, the buildup of the track is something that catches your ears. But what makes this song so good is the ending. Even though it returns to the exact same chorus that we have been hearing in the song, it ended perfectly and left me at the edge of my seat. My assumption is that Not Today and Spring Day will go hand-in-hand with each other since Spring Day provided us with a 1 or 2-second teaser of the Not Today video. Knowing BTS and Big Hit Entertainment, there will be some sort of connection that I am going to need help interpreting. I rely on fan theories for BTS music videos because there is so much to research and make sense of. The video starts off with them running (along with a group of ninjas or what I am going to assume – their bodyguards). And they are running away from someone or something that is out to get them. And that is all I have. Maybe they are trying to say “you will not catch me, not today”. But even though the plot doesn’t make sense, the video is still good on its own level. Why? Well, have you seen the cinematography and camera shots in this video? They look spectacular and stunning. You wonder how an underground car park or concrete slab can look good? Well check out this video and you will find out! Like the song, the choreography is equally as intense or even more! The choreography that I saw in the music video has left me speechless and I can’t even get my thoughts for this section into words. But regardless, I smell a potential ‘Best Male Dance Performance” award for this. They have set the standard for 2017 pretty high. BTS has returned with their repackaged version of Wings (title track was Blood Sweat & Tears), which was probably one of the best albums of 2016. Spring Day is their title track off the repackaged album. The group will also be releasing a music video for Not Today (another track off their repackaged album), which I will review next week (once the video is released on the 20th). I was also planning on doing an album review for their repackaged. But since I am already reviewing 2 of the 4 new songs and I think it probably too late to do an album review for the entire Wings album, I’ve decided to cancel it instead. My apologies if you had expected it. Spring Day is a lot different to the group’s past hits. This time, they went with a song that is more vocally centred. And they do a smashing job of it. The song is something right up my alley. It has a really emotional melody, which you can hear through both the softer instrumental and vocal work. The instrumental is toned down (as already mentioned) quite a bit, almost resembling a soft electronic track infused with a ballad (also really like the drums). Even the rappers, who are known for their extreme toughness and power raps, have toned it down. The star of the show has to be the vocals of Jungkook, Taehyung and Jimin. Their vocals work, in the song, is amazing. You can hear the emotions in the vocals, being consistent throughout the song. J-Hope seemed to get the short end of the stick. When I first listened to the song, I noticed that I could not detect J-Hope’s voice anywhere. It turns out that J-Hope was the backing vocals for the chorus. While that does seem a little unfair, once you notice it, you can’t really unhear it. Now when I listen to the song, I move my focus between the different vocals, especially during the chorus. His backing vocals do a really good job of echoing the member who was singing at the time (usually Jungkook). It added a level of complexity and depth to the song. And honestly, if you strip J-Hope’s backing vocals from the song, the song would have felt empty and too simplified. Let’s all put forward our best theories, shall we? Hahaha.. As per usual, this BTS music video is confusing as heck. So I decided to do some reading and watching, trying to see what others make of it. I found a video that really explains the story quite well. Watching the music video by itself made no sense. But with someone breaking it down (and basically doing the hard work for me) made more sense and more understandable. Now, I am unfamiliar with the story of Omelas (the name of the motel in the video) and will probably do a shocking job at explaining it. So for an explanation of the video, CLICK HERE!!! I think what BTS (and when I refer to the band, in this case, I am also referring to the producer, director etc) has been doing with their reference to these mythological stories is really cool and unheard of (as a series) in KPOP. Now moving away from the plot, this video is beautifully shot. Everything from the camera angles, wide shots to the quality of the video made it look amazing. It makes the video look stunning and worthwhile to watch. [UPDATED] The dance for this song is amazing. I am not too sure, but I am assuming they did a form of interpretive dancing and every time I watch the performance, I am in awe at their stage presence and fluid motions. I loved how the song is more on the softer side, but their dancing is leaves a very strong impression on you. It might be a tad early, but this is worthy of a Best Dance award already. We became shocked with the disbandment (or what we dubbed at the disbandment) of Kara at the start of the year. However, it seems like certain groups are facing member line up changes after one of their members had decided to not resign with their company and have since departed ways with their respective groups. Former member of 2NE1, Minzy, and former member of Miss A, Jia, have both decided to leave their successful group and go onto their own paths. Minzy will (hopefully) make her solo debut in the near future after confirmation came from her new company in which she signed. Jia was announced today that she would be leaving the band after her contract finished. Miss A and 2NE1 faced disbandment rumours from these two events, but both their companies have stated that is not the case. Not only girl groups are facing these changes, but A-Jax (if we all remember who they were) recently lost 3 members (Sungmin, Jaehyung and Jihu). But the list does not end there. Hyunseung departed from Beast, leaving the group with 5 members. It was kind of expected after the numerous articles and petitions asking for his removal. Hyunseung is expected to return as a solo artist in the near future and is still signed with Cube Entertainment. It is always disappointing to hear these news and it has obviously shocked the industry a lot. These members have been with their band since the beginning, so it is always hard for fans. Hopefully, there won’t be any more of this and I wish the former members luck in their future endeavours (because that is something we all should do and not call them selfish). For the past two months, many artists have made their comeback and they include ): Block B, Seventeen, History, April, Twice, AOA, Akdong Musician, VIXX, Lovelyz, Up10Tion and so many more. For debuts, NCT is the big debut for April. I.O.I is probably the major debut for May. However, we have seen new soloists emerge in KPOP in the past two months. Notably, Jung Eunji from APINK, Woohyun from Infinite and Tiffany from SNSD had their respective solo debuts in the last two months. May hasn’t ended yet, but it is about to. I will add other May songs to the June list (when I get around to it). 0. Pretty U – Seventeen (I have to. I have been trialling charts and Seventeen has been popping up every single week as the top song for the week). This one was a long one and I tried to keep it short. I am really behind in reviews and will get them out slowly. It will take me some time to catch up. Bad news is that I have exams coming up and I am going to be slower. I will review every major release eventually, so give me some time. Enjoy the rest of May and see you tomorrow!! !